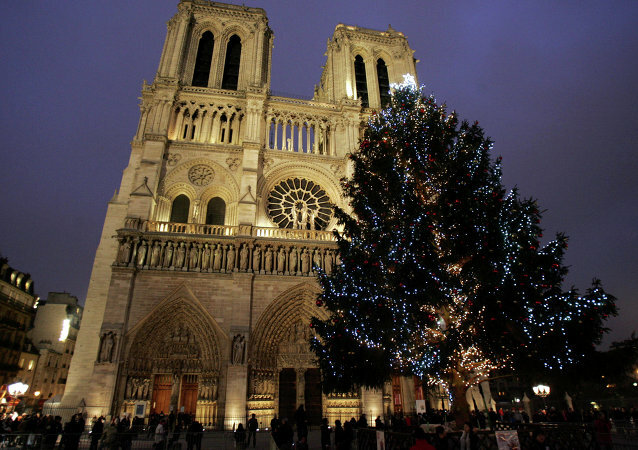 Moscow aided France in raising funds for the main Christmas tree in Paris which goes up in the main square in front of Notre Dame Cathedral every year, from December to January. Wireless trolleybuses will become a common sight in Pokrovka and Maroseyka streets in Moscow after a renovation, Deputy Mayor for Transport Maxim Liksutov told Moscow 24 TV channel. Twenty-eight people were detained in central Moscow on Tuesday during an unsanctioned rally calling for the government to uphold the constitutional right to free assembly. Moscow City Hall has rejected a request for an opposition-sponsored march “for the rights of Muscovites” because the applicant failed to agree on the venue in time, a high-ranking city official said Wednesday. Moscow City Hall gave the green light Monday to the Russian March, an annual gathering of radical nationalists that takes place on the city’s outskirts on Russia’s Unity Day public holiday on November 4. Moscow City Hall has authorized a march in support of people on trial over last year’s clashes with police at an anti-Kremlin rally, Russian opposition activists said Thursday. Moscow City Hall on Monday sanctioned a campaign rally for opposition star and Moscow mayoral hopeful Alexei Navalny, despite an earlier refusal. Moscow City Hall has no plans to create special Muslim prayer zones in parks as a response to overcrowding in mosques during popular religious holidays, the acting culture minister in the Russian capital said Tuesday. Six gay-rights activists who were detained on Wednesday for holding an unauthorized rally in central Moscow have been released, police told RIA Novosti. The organizers of several planned gay pride events have appealed to a local court over Moscow City Hall's refusal to authorize their events, activists said in a press release published on the Gayrussia.eu website on Thursday.